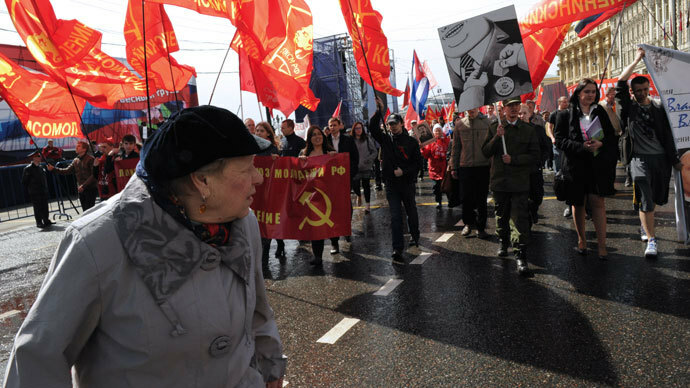 Communist Party leaders say social tension in Russia could spark violence akin to the current standoff in Kiev, but would not to take part in it using lawful political debate instead. The meeting of top communist functionaries and leaders of the party’s regional branches was closed to press but several politicians have leaked some of its results to reporters. In particular, Lower House MP Valery Rashkin told Kommersant daily that though the conference was officially dedicated to the results of 2013, a lot of attention was paid to the current political situation in neighboring Ukraine. Some of the meeting’s participants said that there was a possibility that similar events will take place in Russia in the near future. The reasons for this could be both the social tension caused by growing economic instability, and also the switch to a simple plurality voting system in Moscow that makes the election process more heated and more prone to outbursts of violence. In addition, MP Rashkin said the wave of protests to displace legally elected leaders was rising in many foreign countries, and moving towards the Russian border. “Around us is Syria, Iran, Iraq, now Ukraine. It gets closer. A ballot and a ballot box do not guarantee a smooth transfer of power. When the forest is on fire, the fire is moving through the air,” the newspaper quoted the politician as saying. 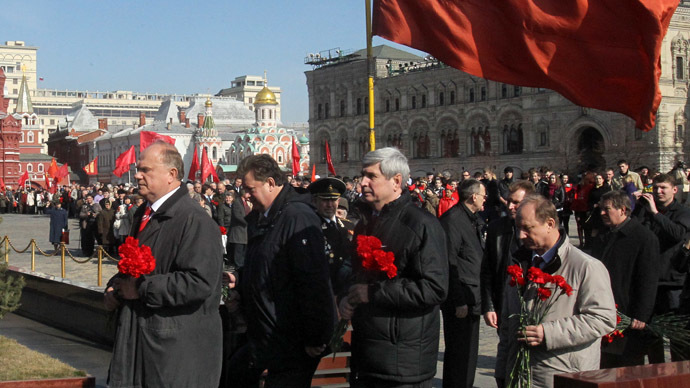 Deputy party head Vladimir Kashin delivered a report in which he complained that the media and the authorities were presenting the street protesters, including the Bolotnaya Square rallies,as real opposition and leaving Communists in the shadow. 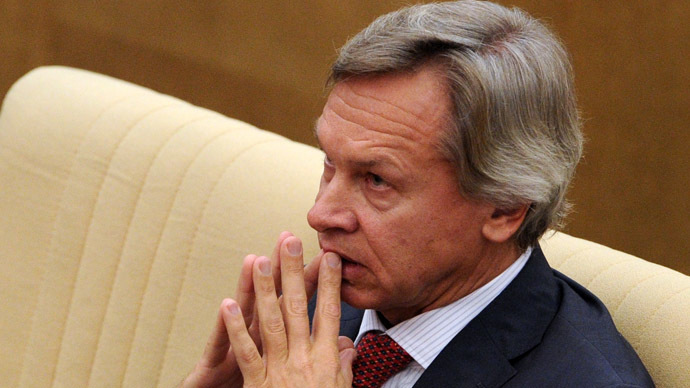 “They are the same oligarchs, simply moved away from the feeding trough,” Kashin stated. He emphasized that the Communist party did not approve of taking power through street protests, but would keep using legitimate methods, such as elections. 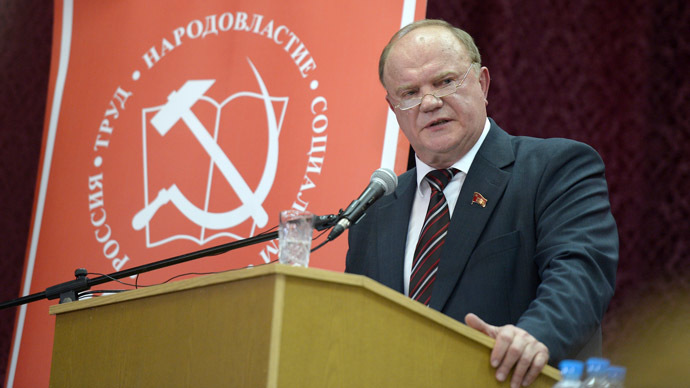 Communist party leader Gennady Zyuganov, however, admitted that there was a place for protest in politics and urged his colleagues to work with the younger generation to make the protest more intensive. 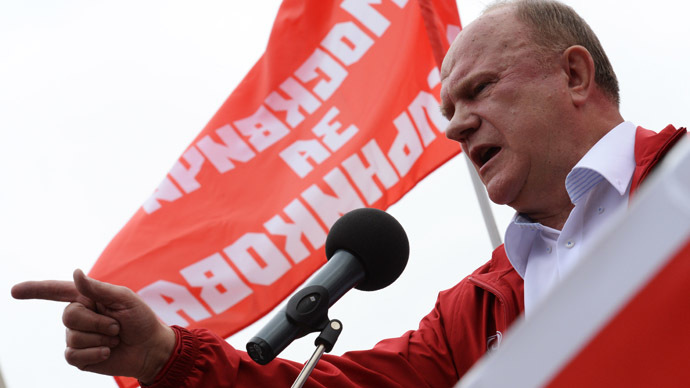 Zyuganov added that these protest must be covered in the party’s own media outlets and on the internet. Earlier this month Communist Party MPs, together with the rest of the Lower House legislators, passed an address in which they called upon the pro-EU protesters tin Kiev to stop illegal action and solve all problems within the framework of the law. Russian parliamentarians also voiced concern over the “interference” of foreign officials in Ukraine’s internal affairs, and the open calls by some western politicians to oppose the decisions of a legally elected government, which “aggravates” the situation.